Shine at your next gala or social affair in a La Femme 22631 mermaid gown. 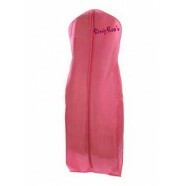 This solid formal dress features shoulder straps that are encrusted in sensational jewels. The bodice features a tantalizing deep plunging neckline with a sheer inset. One solid band wraps from the bust across the back. The band is met by the embellished shoulder straps on an otherwise open back. The trumpeted mermaid skirt on the flared full length gown is as elegant as it gets.